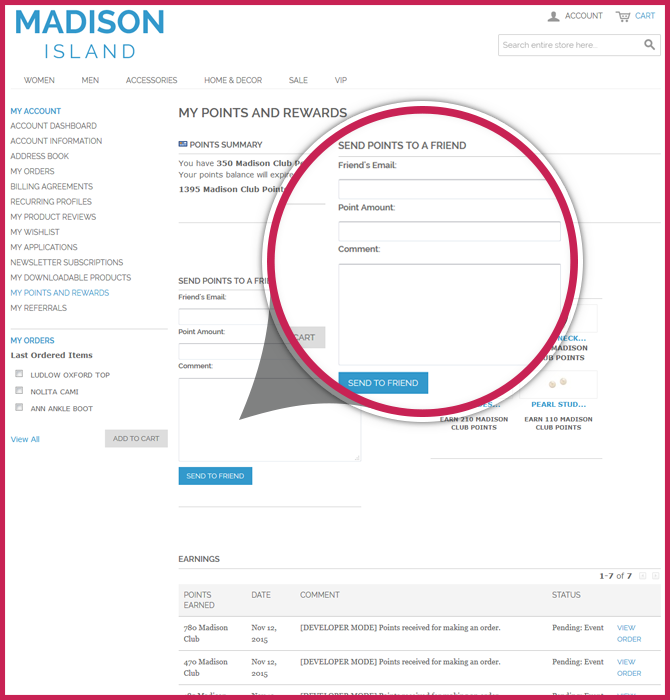 Under your customers’ (shopper’s) account they will be able to see an overview of their points and rewards earned on their account. 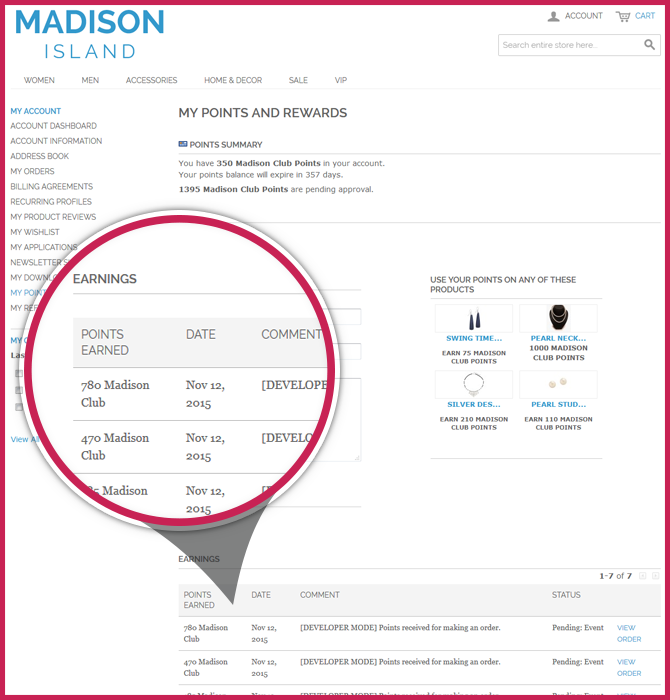 This section is called ‘My Points and Rewards’ and can be found in the customer menu on the customer account page. This section also includes optional functionality that you can enable and disable in MageRewards configuration, such as Send Points to a Friend and the Mini Redemption Catalog. Here the customer can see how many points they have earned. This includes information relating to how and when they were earned and if they are connected to an order from your shop. If you award points manually to your customer the transfer comments can be used to display a personal message to your customer about that manual transfer of points e.g. ‘Hey sorry about the late shipping of your order, here are some bonus points for your patience’. They can also see how many points they have spent. 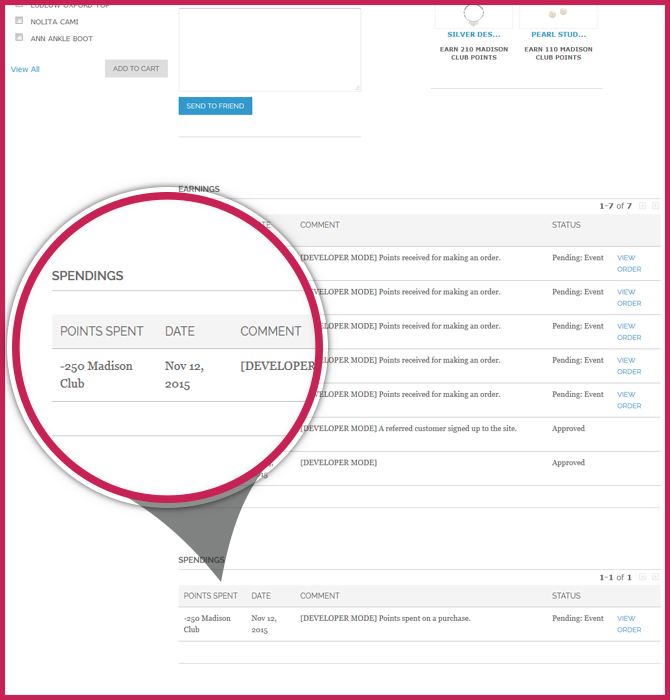 This includes information on how and when they were spent and if they were spent on a particular order. The customer can also choose to send some points to their friend(s) if they are feeling charitable. Normally this is turned off by default as it does contain a risk of customers creating several customer accounts, earning points for actions (like signing up), and then transferring all the points into one account.. 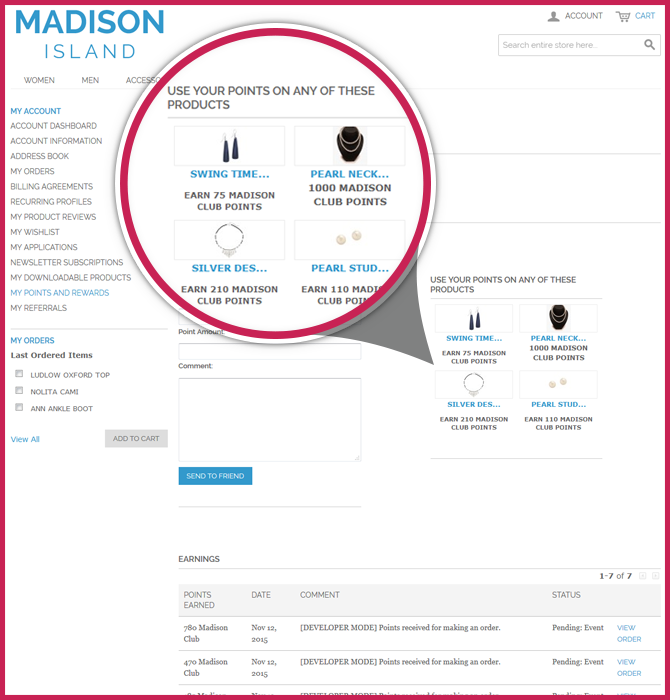 Opposite the ‘Send Points’ form is the ‘Mini Redemption Catalog’ this is an area where you can display product that customers can spend their points on. This can be configured, but you must have a catalog spending rule set up for this in the MageRewards admin. 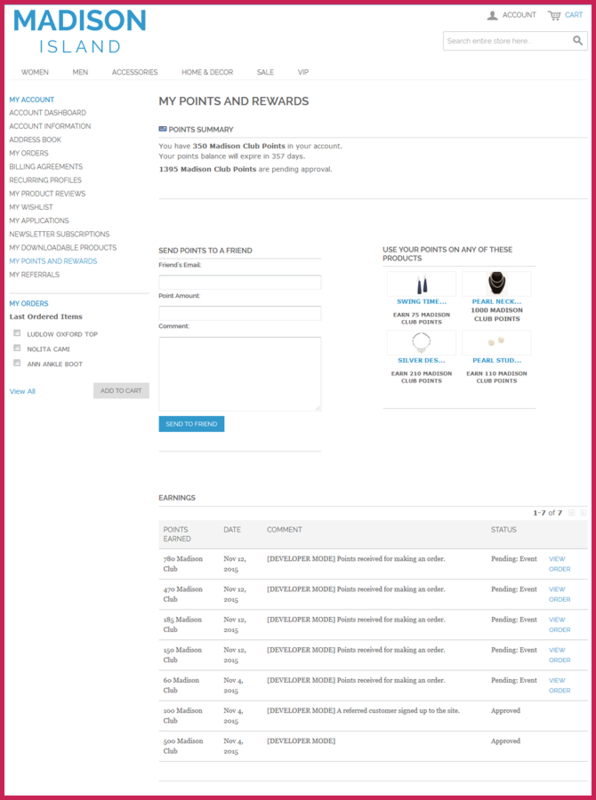 By default the ‘Mini Redemption Catalog’ feature is disabled, so a simple configuration change will re-enable this feature for your customers. Next up learn about what unique blocks appear on the frontend for your customers to see and use with MageRewards on your shop.